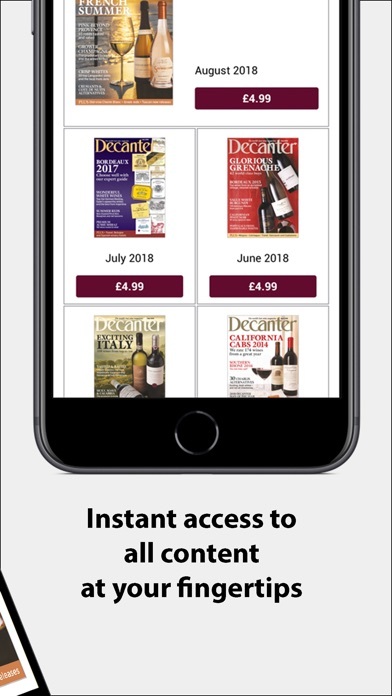 What has happened to the decanter app since the last update? It’s become painfully slow to load, and generally clunky. This is simply unacceptable in these days of facile on line media. Furthermore, I’m unable to access back editions. A huge turn off and I doubt I will renew my subscription given the quality of this app. 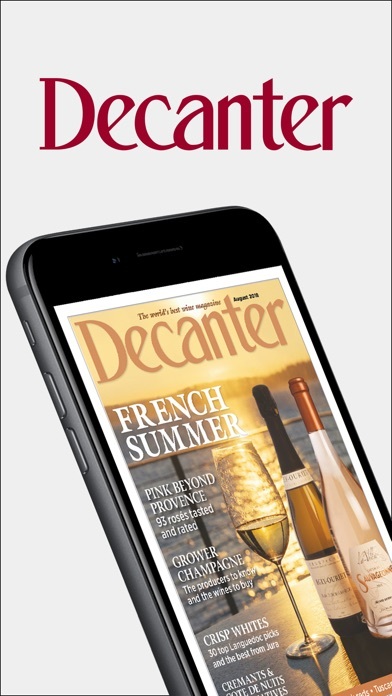 Dreadful and shame on Decanter for this simply unacceptable level of service. 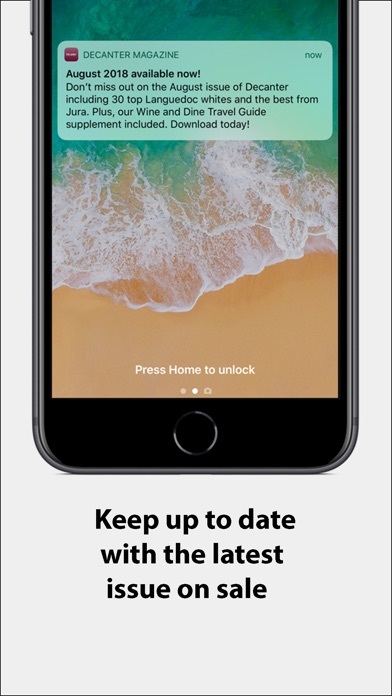 Bit of anecdotal advice: if you can’t access your subscription after the app update and “restoring your purchases”, delete and redownload the app. Worked for me. I am extremely frustrated with your App. I love the magazine, but even after I download multiple editions, when I’m not connection to the internet (ie on an airplane) the app tells me I don’t have anything downloaded. It’s happened twice now, and I’m very frustrated. I don’t understand why it’s a complicated feature - I can download videos from Netflix and watch the, offline. I should be able to do the same with your App. 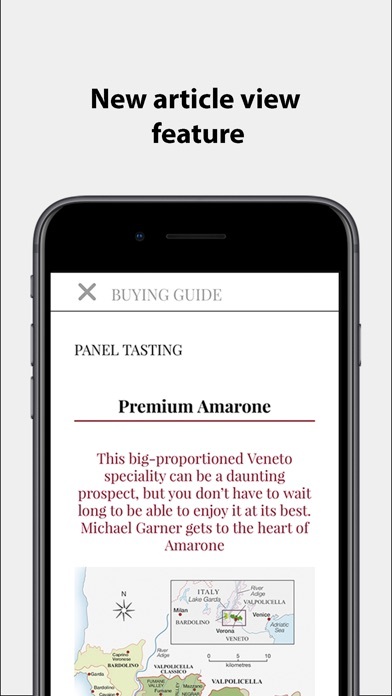 What a horrible update came from Decanter! I have to now create an account and download all previous purchases. It takes FOREVER to do that with constant crashes making it really maddening to go through the process. Those issues that I did manage to download, were unreadable, each page blown out of proportion. Why rush with an update before working out all the 'improved' crap?! Moreover they locked ALL the supplements that were part of your digital subscription before this update. Now you have to pay $5 for each past supplement. Isn't that a violation of the previous subscription agreement? There is no way I am going to spend another penny on this horrific digital magazine. Going elsewhere for wine ratings. No more Decanter! Hooray! This app is possibly the worst app I've purchased period. I subscribed in the beginning of April and received no confirmation email or subscription number (which they keep asking for to reference my subscription). Don't buy. 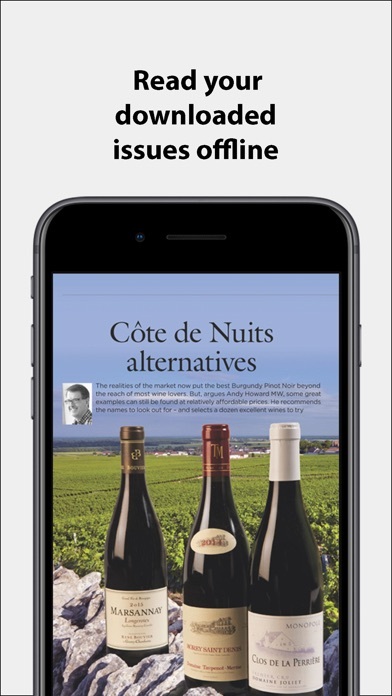 Nice magazine, but terrible app. I've had trouble updating with the newest issue twice in the few months I've been a subscriber. When I delete the app and log in again I lose the back issues. Frustrating. I find its broad coverage very helpful, as I only know wines from a very few areas well. However, I do not see how one can print from the iPad app. Subscribed for magazine. Was given free mobile version for subscribing. Downloaded and created my account. When I want to look at a issue I sign in. Try to open the issue and it want 4.99. Obviously even though the app shows me as signed in its trying to charge me.